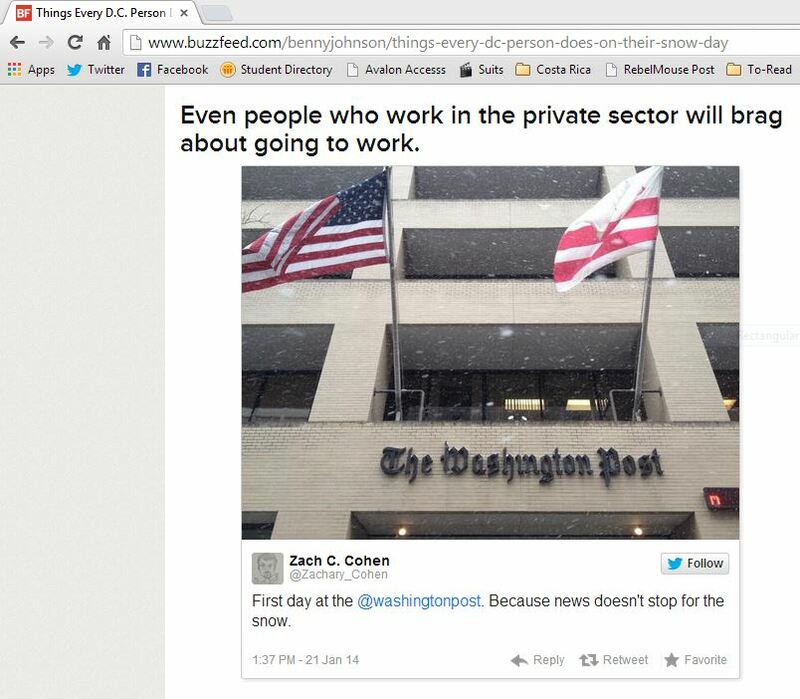 Today was my first day at The Washington Post. It wasn’t too eventful, to be honest (we only did basic training, such as accessing email, filing stories, posting to the website, etc.). I’ll have more thorough reflections later this week. …ended up on Buzzfeed. Life achievement unlocked. Thanks for the shout-out, Benny Johnson.